How Are You Getting to Andrew Richard Designs? The fine folks at UBER have been kind enough to offer you, our fantastic guests some help in the transportation department. Memory Ball 2013 is already the party of the year, so why not arrive in style, in a sleek black car instead of your classic taxi? Enjoy a free black car ride up to $30. Download the free Uber app for iPhone or Android and signup within the app using the code MEMORYBALLNEW. You can also signup for online at uber.com/go using that code. 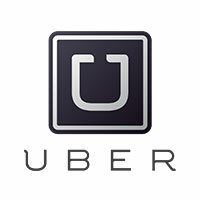 BlackBerry users can request a pickup via the mobile site, m.uber.com. Sign into your account online at uber.com, click Promotions, and punch in the code MEMORYBALL to redeem $10 off your black car ride for Memoryball. You can also enter the code within the app before you request your black car pickup. Request your black car pickup about 10-15 minutes before you’d like to head to the event. The promo code you enter will apply automatically to your ride and will be outlined on your emailed receipt after your trip is over. Remember, the codes are only for Uber’s black car option & will not apply to taxi trips.